Property Division | Lisa Marie Vari & Associates, P.C. What Makes Our Florida Practice Different? What is Equitable Distribution under Florida law? Florida law provides for equitable distribution of the marital estate. This means that all marital property and assets, as well as all marital debts acquired from the date of the parties’ marriage through their date of separation (or sometimes date of division or divorce) will be divided equitably or in other words — fairly. The divorce court will consider assets and debts marital even if they were acquired by only one spouse during the marriage or titled only in one spouse’s name as long as they are not exempted from the marital estate due to a prenuptial agreement, inheritance, gift from third party or otherwise. Increases in value of non-marital assets may, in some circumstances, also be considered a marital asset. The Miami divorce lawyers at the law offices of Vari & Associates, LLC, have handled all types of property distribution cases and will guide you through the process effectively and efficiently. Identifying the assets. The first step for a Florida property distribution lawyer in analyzing a Florida equitable distribution of marital property case is to identify and/or locate the assets and debts of the parties. Identifying and locating each spouse’s assets and debts is generally accomplished through a legal process known as discovery. Discovery is a process whereby an experienced Florida equitable distribution lawyer will submit written questions to the other spouse regarding the marital property and debts, and a written response is required. Other times, the Florida equitable distribution attorney may request documents to be produced by the other spouse or may conduct a deposition and require the deposed spouse to answer questions under oath. In some circumstances, the exchange of documents and information is required under Florida law. In other circumstances, the information may never be uncovered unless it is requested and obtained by the spouse’s Florida property distribution lawyers. The discovery process is critically important when it is believed that a spouse may have hidden assets during the marriage in an attempt to prevent the other spouse from obtaining a fair property distribution settlement or order. Characterizing the assets. The second step for a Florida property distribution lawyer in analyzing an equitable distribution case is to characterize the uncovered assets and debts as marital or nonmarital. Assets acquired before the date of marriage, assets acquired through inheritance or gift to one spouse, and assets excluded by way of valid prenuptial agreement are generally characterized as nonmarital property. An exception is that the increase in value during the marriage of nonmarital assets is generally considered a marital asset. Generally all other assets acquired during the spouses’ marriage are considered marital property and subject to Florida’s equitable distribution process. The same rules hold true regarding the characterization of debts as marital or nonmarital. While it sounds easy to characterize the assets and debts as marital or nonmarital, this is not always the case especially when nonmarital and marital assets are commingled. Valuing the assets. The third step in evaluating a Florida property distribution case is to determine the value of the assets and debts. The balances in bank accounts or the amounts owed on credit cards are readily apparent. However, other assets and debts may require that experts be retained by the Florida divorce attorneys for a fair determination of their value. In divorce cases where real estate valuation issues emerge, our Florida divorce law firm may hire real estate appraisers. In a case where the cash value of a pension plan is involved, our Family law attorneys may hire an actuary to perform a present-day cash value determination. In cases where the spouses own a business, business valuation experts and/or forensic accountants may be retained by our Florida divorce lawyers. What are the Client’s Goals regarding the Division of Marital Property and Debts in the Florida divorce? Our Miami marital property lawyers must develop a plan with our clients to identify their short-term and long-term financial goals. Clients need to consider not only their immediate needs such as housing, but their long-term needs such as retirement income. Does a mother wish to retain the marital home for the benefit of the minor children? Does a husband wish to retain the majority of retirement benefits acquired through his employment? Can the parties continue to jointly operate a marital business? Do spouses who both work wish to keep their retirement accounts in separate names and utilize other assets to make a fair division of property? In today’s economy, many equitable distribution cases involve division of large amounts of debt or are debt-only cases. What is the best strategy for our clients in those equitable distribution cases? What is the best option for clients if the value of the marital home is less than the amount of the mortgage? Will there be any tax consequences of the proposed division of property and debts? The Miami property law attorneys at Vari & Associates, LLC will give you legal advice to help guide you through the property division process by listening to your goals and then working hard to achieve them. Contact our Miami property division attorneys at 305-222-7351 or e-mail us to schedule an appointment to discuss your Dade County, Broward County or Monroe County property distribution issue. Our Miami divorce lawyers accept family law cases in Miami-Dade County, Broward County and Monroe County. Consultations are available in Miami and at several meeting locations throughout Dade and Broward Counties including Lincoln Road in Miami Beach, Galiano Street in Coral Gables, West Country Club Drive in Aventura, Hollywood Boulevard in Hollywood and in the Homestead area. Appointments are also available by telephone and via Skype internet video chat. Can a father get joint custody? Can a grandparent get custody of his or her grandchild? Can a spouse be prevented from entering the marital home? Can either spouse contest or prevent the entry of a divorce decree? Can I file an emergency motion for child support modification? Can I file for legal separation from my spouse? Can I get divorced without a lawyer? Can I seek an increase in my alimony? Can I stop paying alimony now that my former spouse is cohabitating with someone? Can the Miami-Dade family court require counseling prior to finalizing a divorce? Can the other party be forced to pay my lawyers’ fees in family court proceedings? Do I need a child support lawyer for a child support modification? Do I need a lawyer for a child custody dispute? Do I need a lawyer for a domestic partnership agreement? Do I need a lawyer for a non-contested divorce? Do I need a lawyer for a step-parent adoption? Do I need a lawyer for my domestic violence case? Do I need a lawyer to file a temporary restraining order? Do I need a lawyer to file for child support? Do I need a lawyer to modify a child custody arrangement? Do I need a prenuptial agreement before I get married and are they really enforceable? Do I need to go to a parenting class as a part of my divorce? Do I need to hire a family law lawyer? Do you need a lawyer for divorce mediation? Does a mother always get primary custody? How are social media, email, text, and other electronic evidence used in divorce or custody case in Family Court? How can a spouse or minor child have their name changed? How can hidden assets affect my divorce? How do I adjust child support payments? How do I obtain child support or alimony? How do I start a divorce case? How do you determine marital and nonmarital assets and liabilities in divorce cases? How does divorce impact my business or business assets in? How long will it take for me to get divorce? How to plan to co-parent with a difficult spouse? If I want to move away with my child after or upon divorce, what do I need to do? Do I need to go to court to settle my divorce? How much will a divorce cost me? Is there a relationship between seeing the children and paying support? Should both parties use the same lawyer for divorce and family court matters? Should I hire a family lawyer for my case if I have a child support hearing? What consultation options does your family law attorneys provide? What is the divorce process in? What should a resident do prior to separating from their spouse or parent of their children? What is Mediation in Family Law Cases? What Makes Our Practice Different? What should I do if I am served with a Petition for Dissolution of Marriage, Paternity, or some other action? What should I do if I am the victim of domestic violence in? What types of payment does your family law office accept? When should I get a divorce lawyer? Why should I use mediation, collaborative divorce, or arbitration to resolve my divorce? Will I be taxed for money or property I receive after a divorce? Will my spouse be entitled to alimony in a divorce? 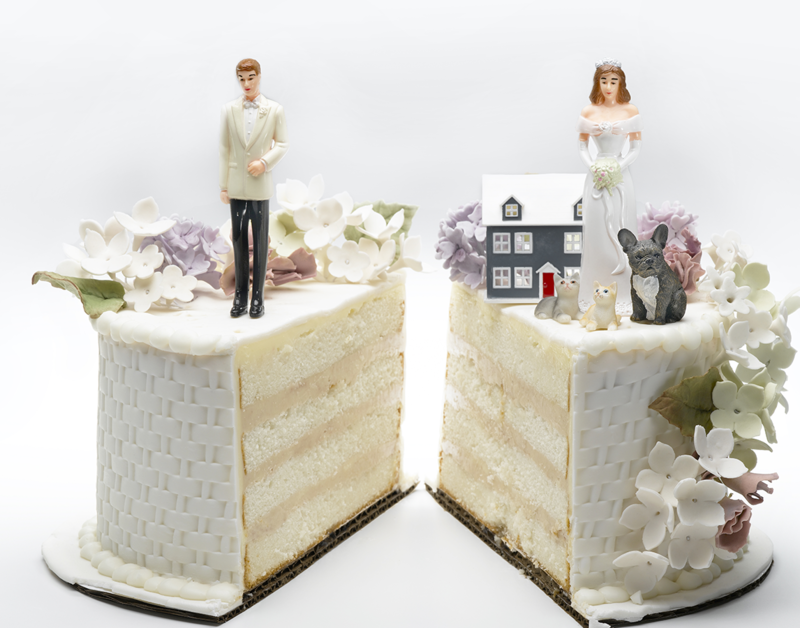 Will my spouse get half my assets in a divorce? Will my spouse have to pay for marital debts in a divorce? Would I be guilty of abandonment if I leave the marital house during a divorce? Request A Consultation by filling out the form below. Contact Lisa Marie Vari & Associates, P.C. Let us make this process easier. Contact us by email below or call 1-844-VARI-LAW (1-844-827-4529) to schedule a confidential consultation. I understand that submitting this form does not create an attorney-client relationship and that the contents of this email will not be attorney-client privileged.pick one! Copyright 2019 Lisa Marie Vari & Associates, P.C.